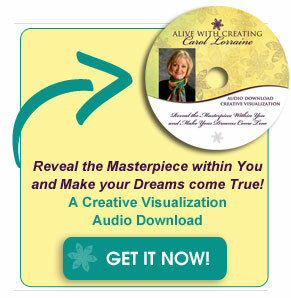 Unleash your Creativity with my NEW CREATIVITY MENTORING GROUP~ Your Creative Heart! For busy professionals, entrepreneurs, and people in transition who are stressed and tired and want more time for fun, play, and joy! Get into your creative flow with ease. Combine creativity with structure and focus to get into action with your brilliant ideas and know JOY! With my professional facilitation and a like-minded group of creative seekers, feel the support of community! Create your daily practice and make it a habit that you stick to! Invite more juiciness, meaning & purpose into your life. Watch your abundance bloom and grow into a happy, success-filled life! All calls will be recorded if you miss a call or want to re-listen. ONLY $97 for 4 sessions for members of the Alive! with Creating Community. This group will be interactive so that everyone has time to speak and be heard AND receive and give support. We believe for others what they can’t fully believe for themselves. Get focused, clear, and in action with these weekly group calls. Work through specific questions or challenges and receive feedback. Gain key insights to where you are stuck and what to do next. Have fun and learn to be more playful and joyful! QUESTIONS? Send me an email: carol@alivewithcreating.com and we will set up a time to chat on the phone so I can say hello and answer any questions .